The lightweight: minimalist alpine Scopi 22 LW Rucksack with roll closure for shorter mountain tours when every gram counts. 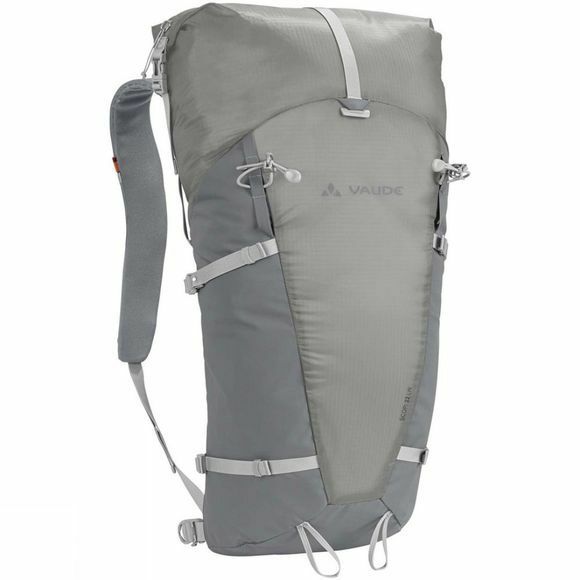 Vaude's lightest touring backpack for mountaineering weighs less than 600g. It’s made of lightweight, siliconized 40D ripstop and robust materials at the bottom and sides. The design was deliberately kept narrow for unrestricted movement. Superfluous technical features have been omitted in favor of low weight and a minimalist look. 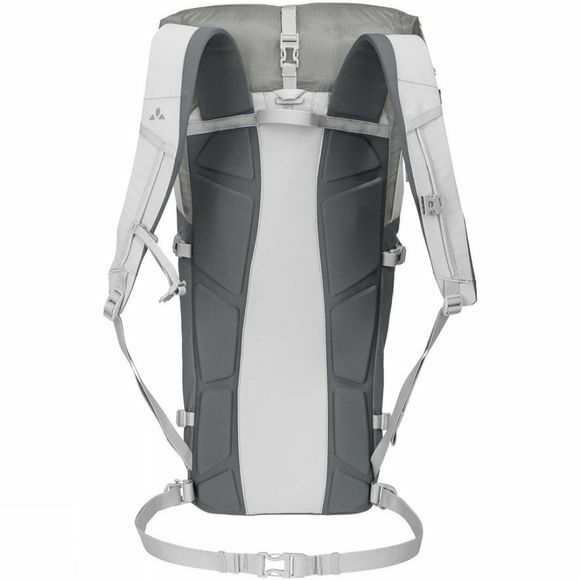 Features are paired to fast & light tours: the back is adjustable and, thanks to removable aluminum stays and padding, weight can be reduced even further. The hip belt and top compression straps can also be removed completely. Of course, the pack can be effectively compressed down when it's empty. Poles or an ice axe can be attached at the front. Green Shape is your Vaude guarantee for environmentally friendly products–from sustainable materials, resource-efficient manufacturing and fair production.